Traveling cat spotted on the island of Ischia, Italy. 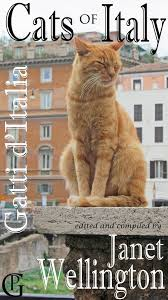 Submitted by: Janet Wellington, author of CATS OF ITALY/GATTI d'ITALIA. "CATS OF ITALY/GATTI d’ITALIA is a photo essay along with a compilation of favorite cat quotes gathered from many, many places—from websites, in emails from friends, as discoveries in books over the years, in greeting cards and from countless other sources," Janet Wellington says about her book. "These entertaining and thoughtful quotes originated from various people/authors from the past—from Sigmund Freud to Jules Verne to Charles Dickens to Edgar Allan Poe—as well as from contemporary sources such as journalist George F. Will. In this ebook you will find 72 photos of cats I met in Italy—along with the compiled 64 quotes that I personally find humorous, insightful, and, in my opinion, quite true about the relationship of cats with people, other cats, and their surroundings." Nice one. Have a wonderful Wednesday. Priceless! Purrrrrfect capture of a cat hanging out in a tree. Almost looks like a monkey. So adorable. Cheers!! Il est superbe. Un joli look de félin sauvage sous son arbre. Le côté des chats que je préfère. Ses yeux verts sont magnifiques. 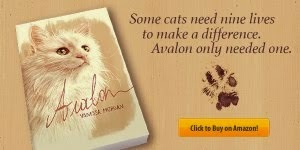 this look like a awesum book !!! 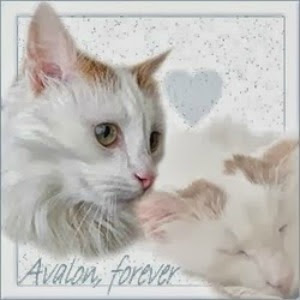 hello kittehz in Italy frum TT !! Il y a beaucoup de chats en Italie ! Dans le meilleur des cas, des personnes attentionnées prennent soin d'eux. 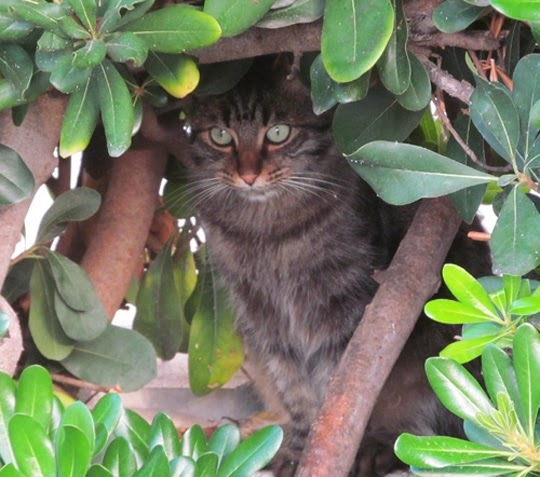 Ce chat tigré dans sa tonnelle de verdure est très beau ! Neat! I will have to check out the book. what a gorgeous photo and the book seems delightful! That sounds like a really wonderful book and what a beautiful picture. He's trying to hide. I see no cat!